Using natural plants as a raw material for rubber is not news, neither is the study of using the Russian Dandelion as a natural resource for rubber production. 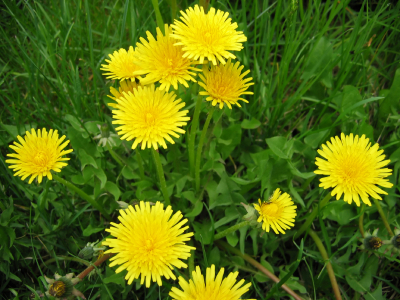 Since the 1930’s, Russia has been researching the dandelion as a possible sustainable resource for rubber manufacturing. However, the research and development was scratched after WWI, when the threat to the Hevea tree was diminished and the prices were stabilized, our primary source for natural rubber production today. However, the markets increasing demand for tires, along with efforts to be a “greener” industry has brought the topic of alternative natural resources for rubber to light. Bridgestone is currently researching and testing the raw material as a viable option for rubber tires production. In their quest to find sustainable, renewable and stable raw materials for rubber production, Bridgestone is focusing on the Russian Dandelion. In the coming months, Bridgestone will continue to assess the raw material at its labs in Akron and Tokyo, with plans to perform larger scale testing in 2014, as reported by Gizmag. From printing on tires to airless tires, Bridgestone is always keeping us interested in what’s next for the life of the modern rubber tires. Fuel Efficient Tires – Right for my Vehicle?